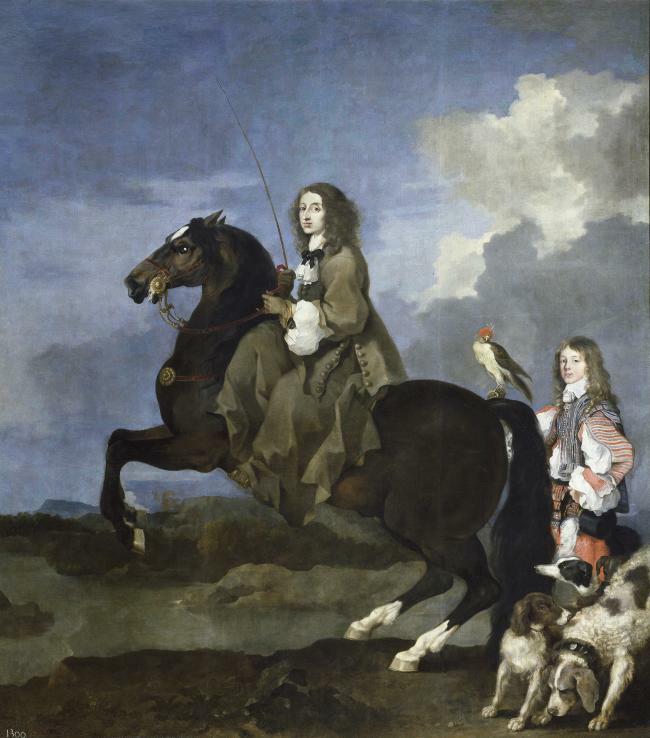 "Christina, Queen of Sweden on Horseback" by French artist Sebastien Bourdon (1616-1671). 1653. Oil on canvas. Height: 383 cm (150.8 in). Width: 291 cm (114.6 in). Museo del Prado.